Last month Turner, Alex and I went on a 12 hour road trip to Angel Fire, New Mexico! 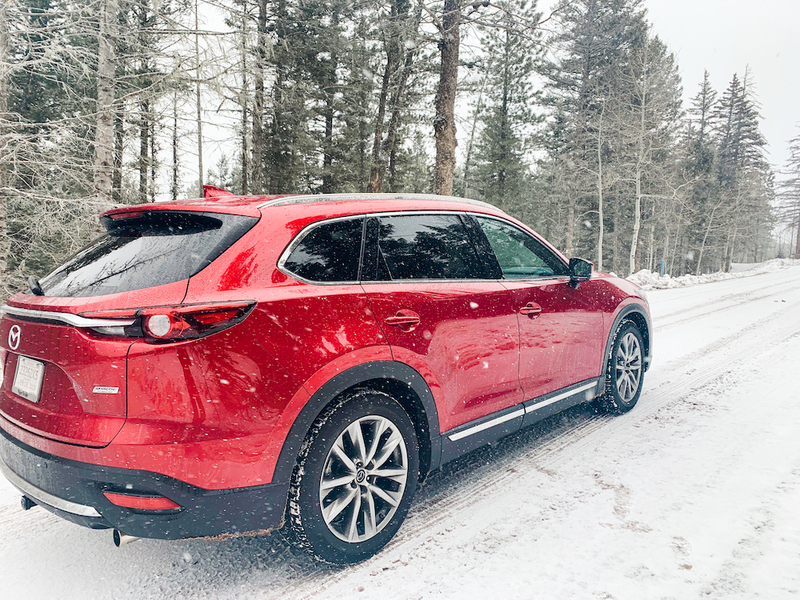 We loaded our Mazda CX-9 rental with our bags and road trip goodies and set off at 8am. 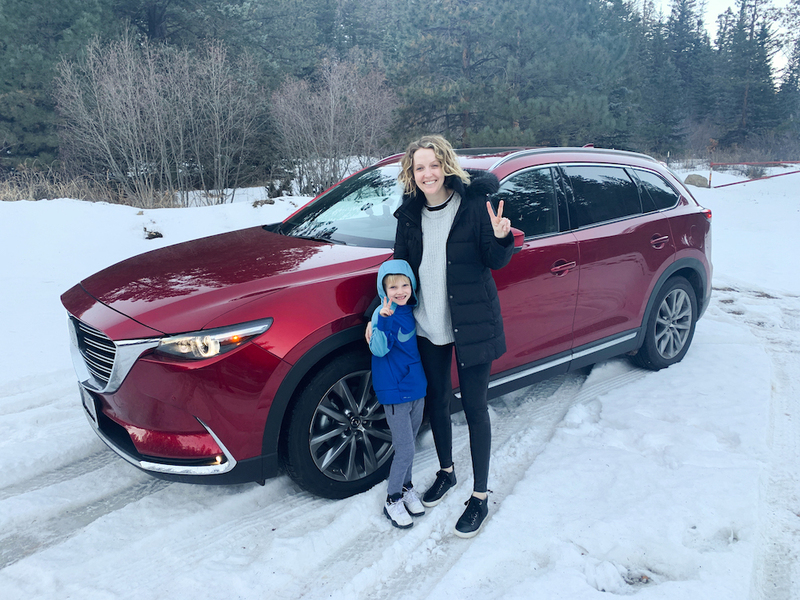 I've partnered with Roger Beasley Mazda to share my tips on how to have a fun family road trip! To be honest I was really worried about how not only Turner would do on the road trip but how Alex and I would do as well. I never took road trips as a kid longer than 6 hours so a 12 hour trip seemed daunting. I made sure to come prepared with snacks and activities! We made sure the iPad was charged and we downloaded some shows and movies from Netflix. We also had headphones for everyone just in case we all wanted to listen to different things. For Turner I loaded up his backpack with coloring books, card games, sticker books, small toys, and snacks. 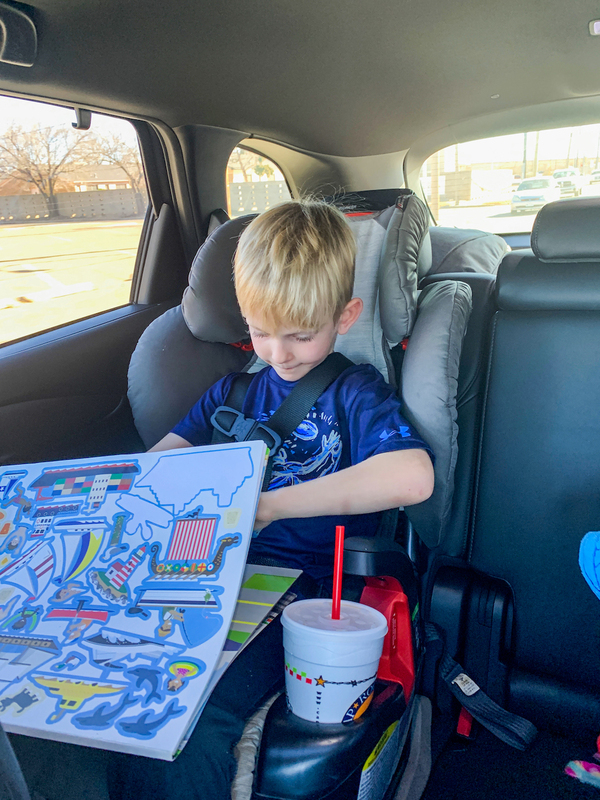 Hit up the Target Dollar spot for fun activities and Amazon for road trip specific games. 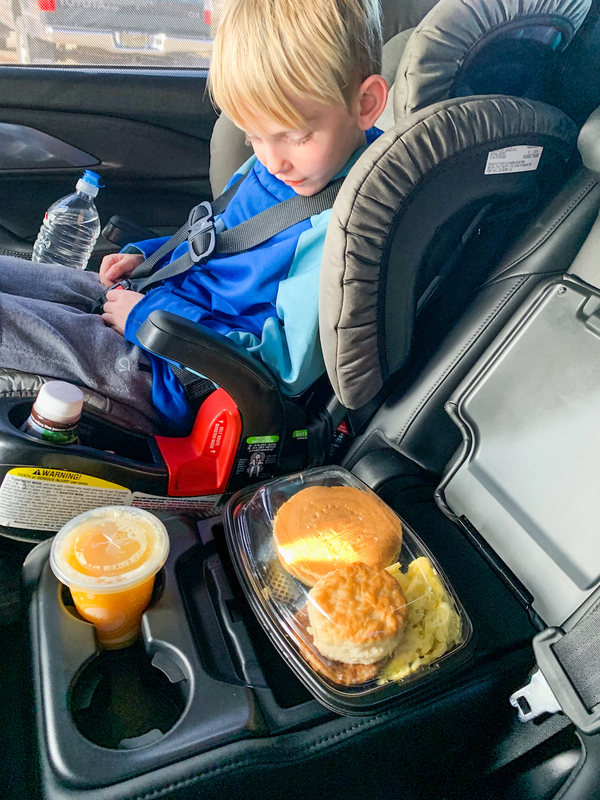 We started off the trip grabbing breakfast, looking out the window the first hour and then we let Turner watch a movie. We pretty much repeated that pattern and Turner did take a 2 hour nap. Alex and I listened to podcasts, music, and I watched "Tidying Up with Marie Condo" series on Netflix. We wanted to get to our destination as soon as possible, but we did make quite a few stops to stretch our legs and use the restroom. When we were in Lubbock we saw some prairie dogs on the side of the road and had to pull over to watch. I've never seen Turner so excited! Most meals we ate in the car, but it was nice to have a longer lunch break and eat inside. I will say having a bag full of snacks (some healthy, some not) in the car saved us money when we stopped at the gas station. There is nothing worse than heading out on a road trip and having a car malfunction while you're driving. A few years ago we went on vacation and hadn't even gotten out of the Austin city limits when our van broke down in the middle of the highway. We had 6 month twins, an energetic toddler, and a car packed with food and bags. Check your tires, make sure the a/c or heater is working, get your oil changed and so on! Thankfully for this trip we knew our vehicle was reliable as we were given a Mazda CX-9 from Roger Beasley to drive. 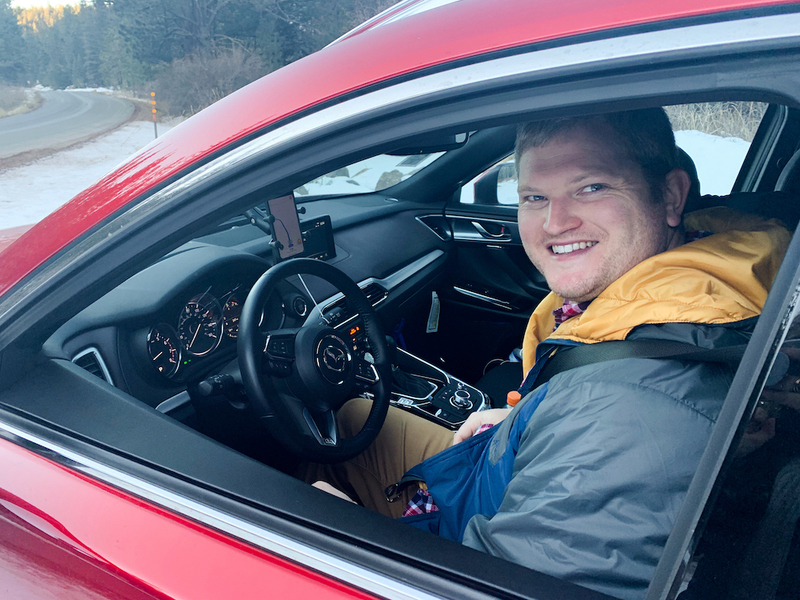 The technology of the CX-9 was awesome and one of our favorite features was the Radar Cruise Control that let Alex set a speed and minimum following distance from traffic ahead. If the vehicle we were following reduced speed, even down to a stop, our car slowed or stopped as needed. Basically there were less fights because I wasn't nagging at him to stop tailgating the car in front us! We brought pillows, blankets and made sure Turner had a comfy car seat for the drive. The CX-9 does have a third row, but we didn't need to use this because our twins weren't with us. It had a smooth ride, quiet cabin and well-sculpted seats which made the ride comfy. When I don't have leg room in the front passenger seat I get anxious and am uncomfortable, but thankfully I had plenty of room. If possible take a vehicle that's large enough to fit your family comfortably as everyone will be happier and hopefully there will be less bickering ; ). Here's the thing...Texas is HUGE and it takes forever to get out of this great state. I went to college almost 6 hours from home, my in-laws live 4 hours from us, and driving 2-3 hours for a one day trip is normal. Basically if you're a Texan you drive A LOT so it's best to have a reliable, safe and comfy vehicle. I think our next long road trip will be to New Orleans, which is about 8 hours from Austin! The Grand Canyon is on my list as well. Do you enjoy road trips? 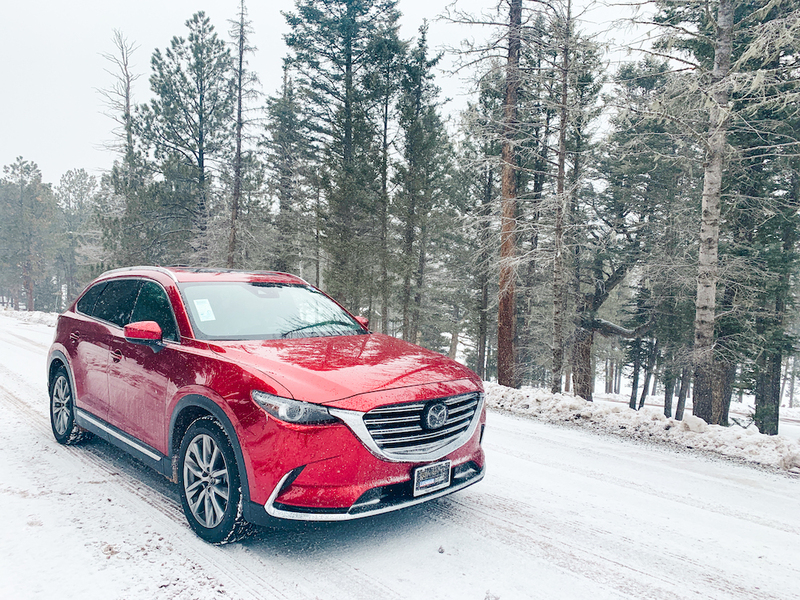 Thank you Roger Beasley for loaning us the Mazda CX-9! Check out their website or Instagram page for more info. Love me a good road trip! I know Turner was over the moon having y'all to himself. 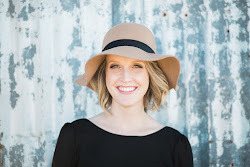 Great article thanks for sharing such useful tips about Road trip. I am really thankful to have the information from this blog.